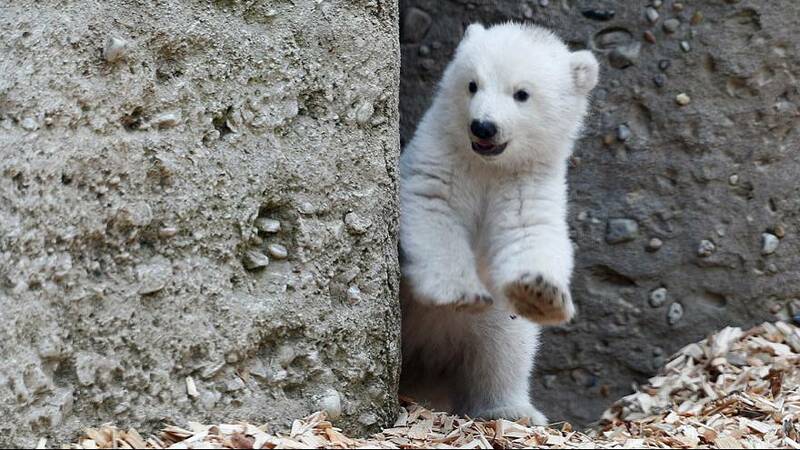 This is a baby polar bear’s first steps outside at a German zoo. The youngster, just 14 weeks old, has spent the last few weeks in a special enclosure with her mother, Giovanna, at the Hellabrunn Animal Park in Munich. It comes as an online poll opened to name the cub. Polar bears were classified as a threatened species in the US in 2008 because of habitat loss caused by climate change.